Floated up at Saint John on 26 Jun 1993, Fredericton was commissioned there on 10 Sep 1994, and was to be based at Halifax. 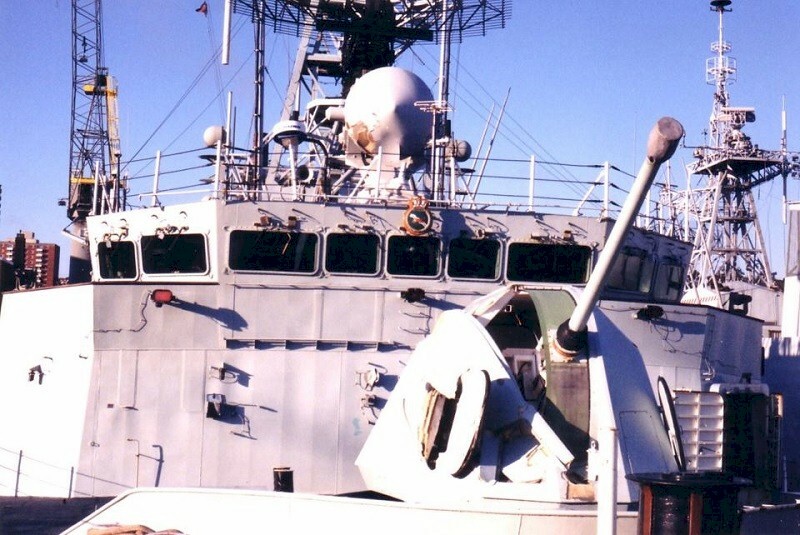 On 05 Apr 1995, while in the Gulf of Aden on a tour of Middle East ports to demonstrate Canadian warship technology, Fredericton answered a distress call from the yacht Longo Barda, which was under attach by pirates. On 28 Nov 1995, "Freddie" departed Halifax for a six-month tour in the Adriatic with SNFL, acting as flagship from 29 Feb to 11 Mar 1996, and then from 17 to 19 Mar 1996 as flagship to Standing Naval Force Mediterranean (SNFM). She returned home on 4 Apr 1996. 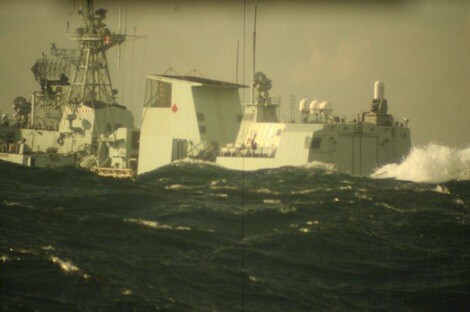 In the fall of 1996 she took part in a NATO exercise in the Norwegian Sea, suffering storm damage on the homeward journey. She was again employed as a NATO unit 06 Jan - 15 Apr 1997 and 21 Mar - 14 Aug 2000. Fredericton participated with SNFL again between 05 Mar and 27 Jul 2001. 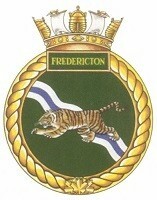 On 6 May 2009 a fire broke out in the forward engine room of the Fredericton. The fire was suppressed within a few minutes and the ship made a brief stop at the home base of Halifax before being given the all-clear to return to sea. Fredericton departed Halifax, N.S. on 25 Oct 2009 to commence her transit to the Gulf of Aden, northern Arabian Sea and Gulf of Oman. 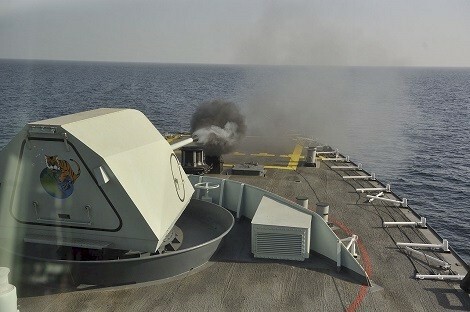 She became part of Standing NATO Maritime Group 1 (SNMG1) in Nov 2009 and remained with SNMG1 until Feb 2010 conducting counter-piracy patrols in the Gulf of Aden and Somali Basin. On 18 Nov 2010, HMCS Fredericton “briefly came into contact” with USNS Kanawha during a replenishment-at-sea manoeuvre off the coast of Florida. 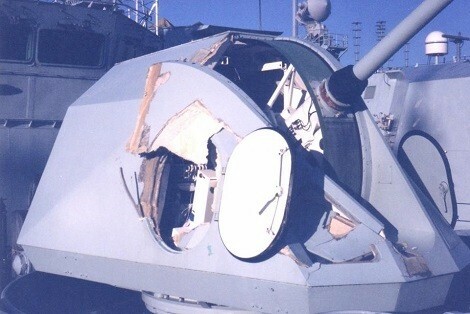 There were no injuries, but both ships suffered “superficial” damage consisting of scrapes and dents on both hulls. 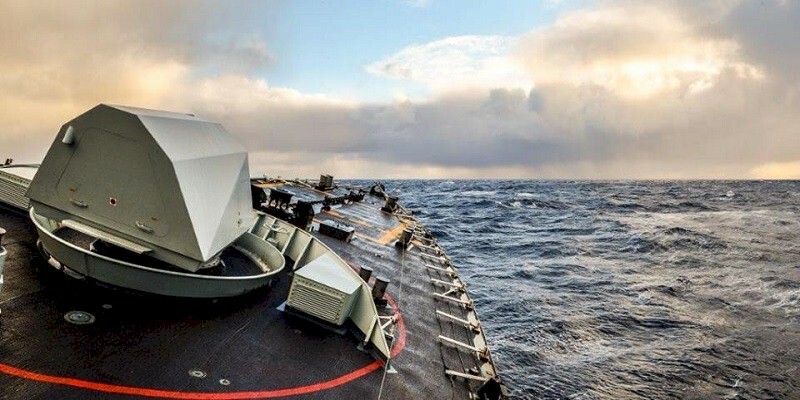 On 30 Dec 2014 Fredericton departed Halifax for the Mediterranean to replace HMCS Toronto as Canada's contribution to OP REASSURANCE. 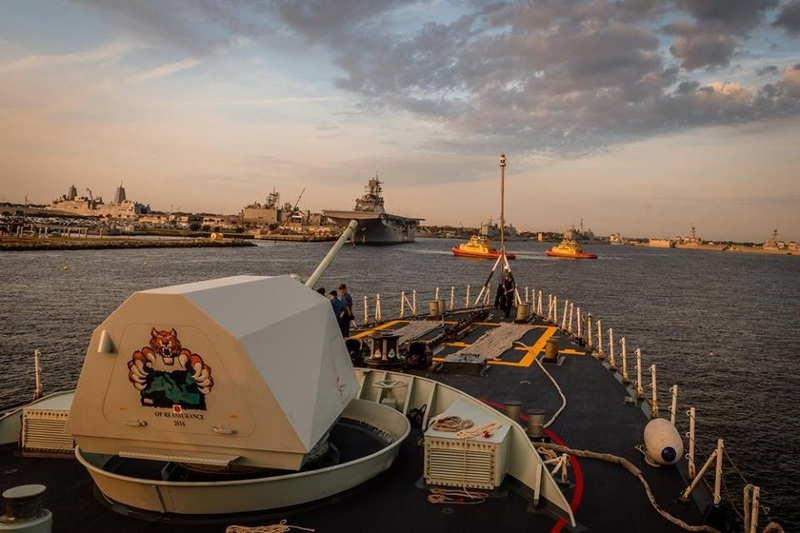 During the seven-month long deployment she visited 13 different countries and 23 ports; sailed in the Mediterranean, Black, Baltic and North Seas; completed 23 Replenishments at Sea; and, sailed 32,532 NM (60,250 kms). After being relieved by HMCS Winnipeg, Fredericton returned to Halifax on 12 Jul 2015. 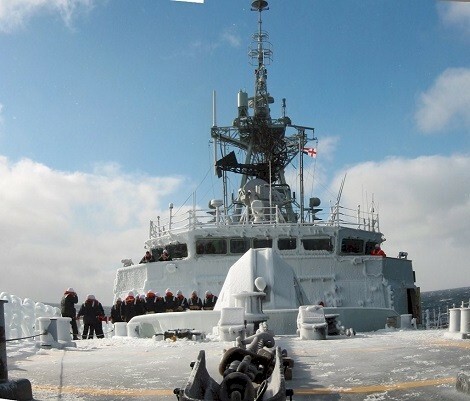 On 05 Jan 2016, HMCS Fredericton departed Halifax for the Mediterranean Sea in support of OP REASSURANCE. On 11Feb 2016 HMCS Fredericton was detached, along with FGS Bonn and TCG Barbados, to move immediately to the Aegean Sea to assist in ending the human smuggling of migrants between Turkey and Greece. 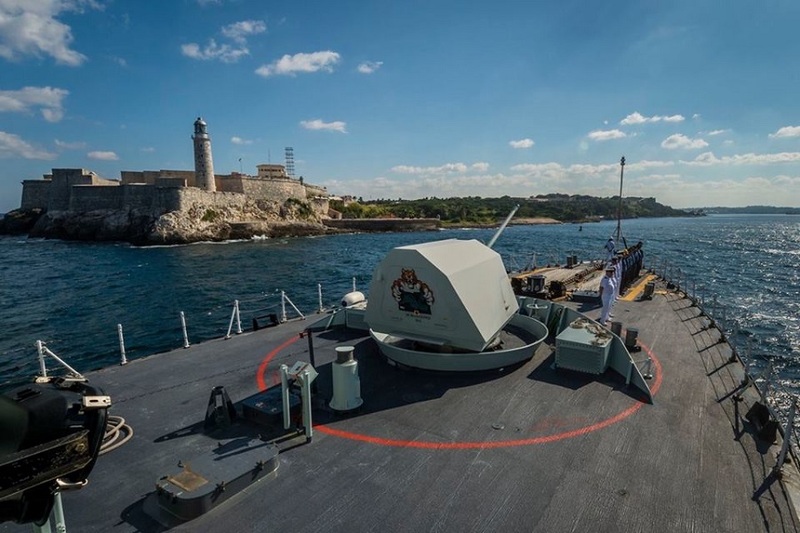 After completion of EXERCISE SPARTAN WARRIOR 24 Oct -16 Nov 2016, HMCS Fredericton visited the ports of Havana, Cuba; Cartagena, Colombia; and Veracruz, Mexico. HMCS Fredericton 337, 90 miles south of Main a Dieu, Cape Breton Island, Nova Scotia, enroute to the Grand Banks of Newfoundland for a fishery patrol, and burying three Royal Canadian Navy veterans of the Battle of Atlantic. Its minus 20. 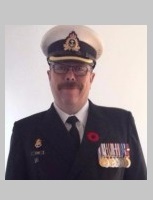 In 2006, we were headed out to the Grand Banks of Newfoundland for a fish patrol and along the route we hadthe task of scattering the ashes of three word war II naval veterans who had recently passed away. 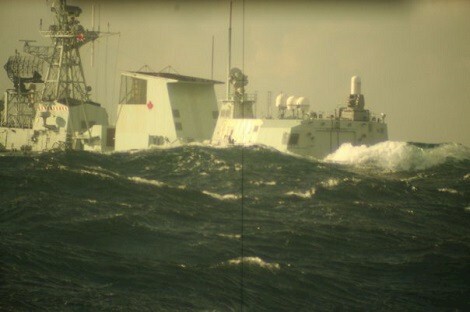 I stopped the ship and drifted downwind while the team prepared the service. Normally we undertook these solemn ceremonies on the quarterdeck but in this instance, I sought to present the families with a stunning photo that captured the cold and loneliness of the wintertime north Atlantic were these brave men had served. 90 kilometers south of "the hand of god" is very cold ocean in January and survival time for crew members from a ship sunk in the battle of the Atlantic was measured in minutes. 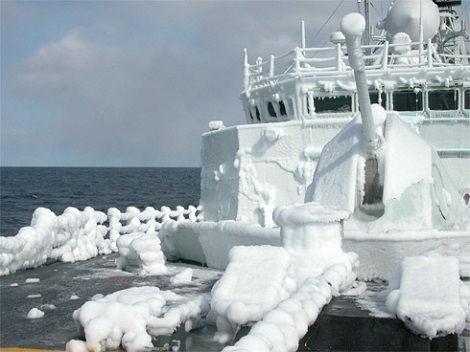 The encrustation of ice on the superstructure leaves no doubt these waters are as inhospitable today, minus the hunting wolf packs, as they were in 1941. 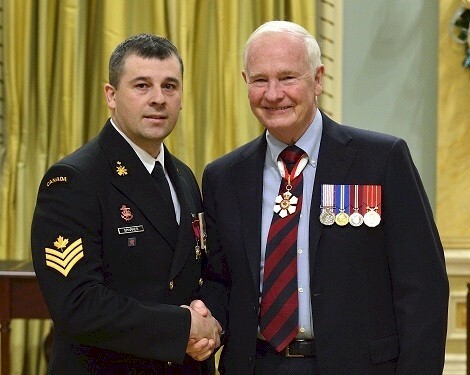 Petty Officer 2nd Class Jason Sparkes of HMCS Fredericton, was presented with the Star of Courage by His Excellency the Right Honourable David Johnston, Governor General of Canada, in a ceremony this week at Rideau Hall in Ottawa - Dec 2013. PO2 Sparkes (left), a volunteer firefighter in the Halifax area, was honoured for his bravery following a harrowing rescue in 2010. On that stormy November day, he and other first responders were called to Peggy’s Cove after a wave washed a man off the rocks. During the search for the victim, an RCMP constable was also swept into the ocean. Thanks to the efforts of PO2 Sparkes and others, the constable was rescued from the water. Tragically, the original victim could not be saved. The Star of Courage is the second-highest award for bravery within the Canadian system of honours and is presented to individuals who have performed acts of conspicuous courage in circumstances of great peril. HMCS Fredericton after being hit by a rogue wave (about halfway between Nfld and Iceland) Exercise Northern Lights - Bright Horizons, Aug 96. Notice the power panel inside the gun (photo 2); it's actually leaning forward because the welds supporting the frame behind it are broken. 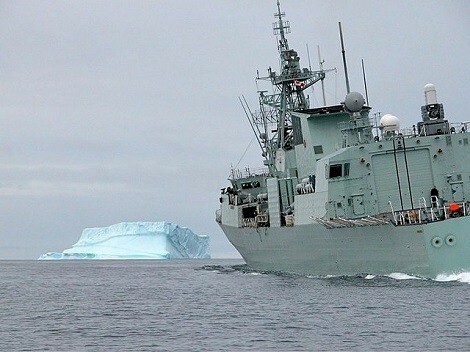 Patrolling the north has been given a new emphasis for the Canadian navy as climate change starts showing effects in the duration of the navigation season, diminishing ice extent and thickness, and as a consequence, improved conditions for commercial shipping to use the Arctic sea routes to achieve shipping economies. 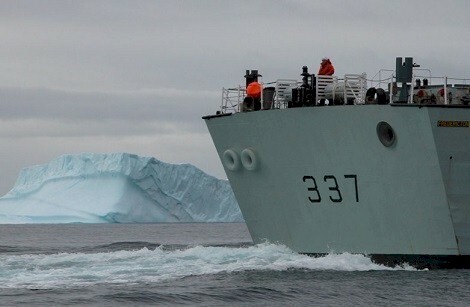 Here HMCS Fredericton carves a turn to safely navigate past an iceberg calved from the Greenland ice sheet and which had become stuck in currents within Lancaster Sound. 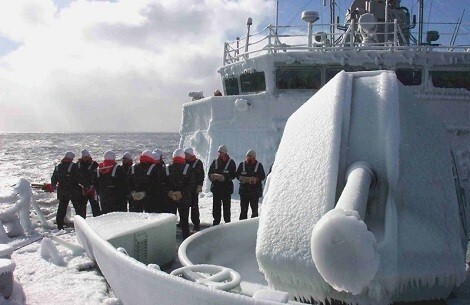 Canada's navy operates as a compliment to the Canadian Coast Guard which deploys its large icebreakers far and wide in the North in support of communities, commercial shipping, science expeditions and as an expression of clear sovereignty intent by the government of Canada.  The lifebuoy sentry serves a lonely vigil on the quarterdeck 24 hours a day at sea. 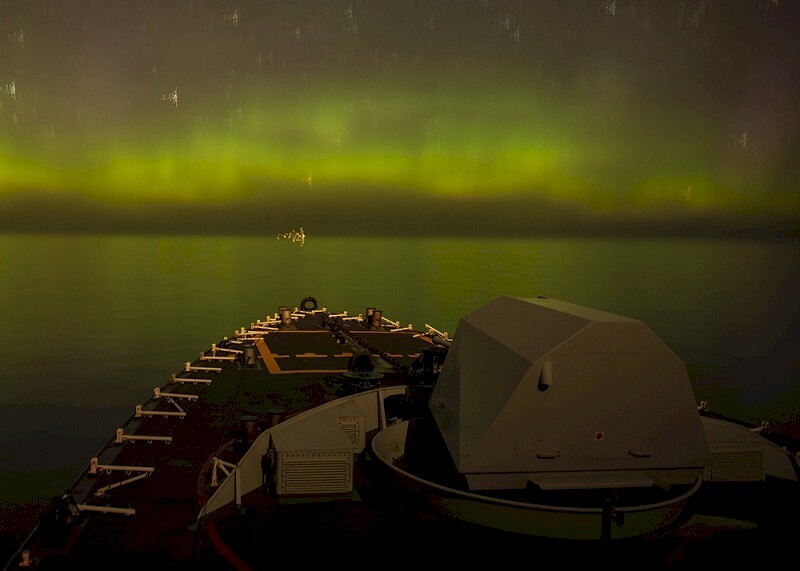 In the arctic the midnight sun of the summer keeps him company, as do the more frequent visits of members of the ship's company who join him between watches to see the unusual light and sights. 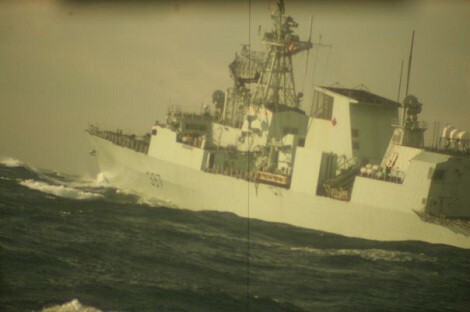 Here the ship, HMCS Fredericton patrols westward in the Northwest Passage.